Make 2019 your best year ever by planning for success. 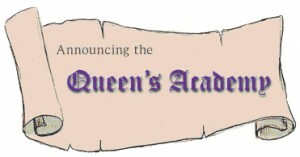 Whether you’re learning QuickBooks or brushing up on accounting best practices, the Queen’s classes can help. These classes and workshops fill up quickly. We have limited space allowing for individual attention. Registration is now open. Introduction to QuickBooks: You’ll learn essential QuickBooks skills in this 3-session class. Tuesday or Thursday evenings, from 6 to 9 p.m. Classes are at Redwood High School in Larkspur. Advanced QuickBooks: You can now master sales tax, inventory, payroll, and higher level QuickBooks reports. Specific workshops available. QuickBooks Troubleshooting Lab: Bring your laptop and company file. We’ll answer your questions and do reconciliations in this one-day advanced class. Available only for graduates of Weekend Warriors workshop. 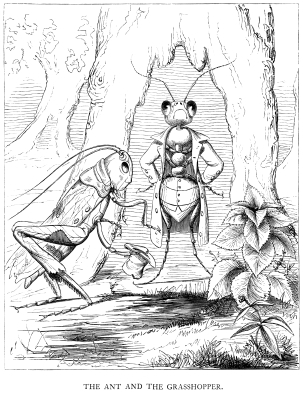 You want to be the ant, not the grasshopper, right? Plan ahead for your company’s success. The Queen’s Academy is located in San Rafael and offers enjoyable QuickBooks classes and workshops at Beginning, Intermediate, and Advanced levels. In all of our classes, you will leave with a concrete knowledge of how to use QuickBooks to run your business or advance your career. Classes are always small and customized, allowing students to ask questions and get information relevant to their particular business. All QuickBooks training is based on best practices in accounting. Pamela Lyons is a Certified QuickBooks Pro-Advisor and Microsoft Certified Trainer. Pamela teaches with a hands-on, real-world technique that has proven successful for hundreds of students in the 15 years she has been teaching.